During AIDE’s launch held in Makati City last April 2, Co-Founder and Chief Executive Officer, Paolo Bugayong said that the improved mobile app responds to the needs of their users, particularly in booking medical professionals for consultations, nursing care, and physical therapy, among others. “The upgraded version has established a new and easier 4W process in making requests. 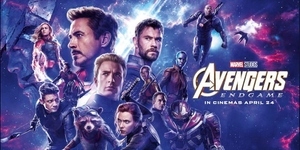 A user simply needs to input who the patient is, what is the medical care needed, and when and where the services shall be rendered,” Bugayong said. A location pin feature was also added for users to easily input their address. Users will also keep track of their appointment history and will get notified on the status of their current appointment. Digital wallet feature was added through GCash, while credit card payment option will be operational in the coming weeks. Improvements on specific services were also implemented, such as the 100-minute medicine delivery, and visibility to medicine prices and information. In addition, users are now eligible to book multiple laboratory tests and packages. On the other hand, medical professionals can now set-up their available schedule and caregivers can be booked for short or long-term appointment. “We hope to redefine healthcare for Filipinos with the medical services that we will be providing from prevention to treatment, from diagnosis to prognosis, from curative to palliative care,” Bugayong added. 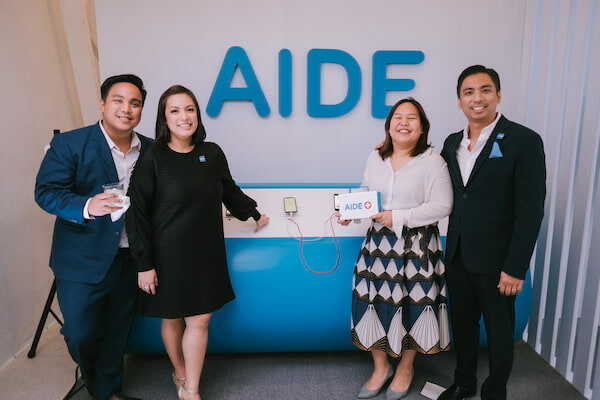 AIDE was founded in 2016 by the Bugayong siblings, Paolo, Pamela and Patrick, who come from diverse backgrounds in finance, sales, and medicine, respectively. In October 2018, AC Health has invested in AIDE, in line with its strategy of building its digital health platform. AIDE has touched the lives of almost 100,000 Filipinos and accredited almost 4,000 medical professionals in its network across the Philippines. 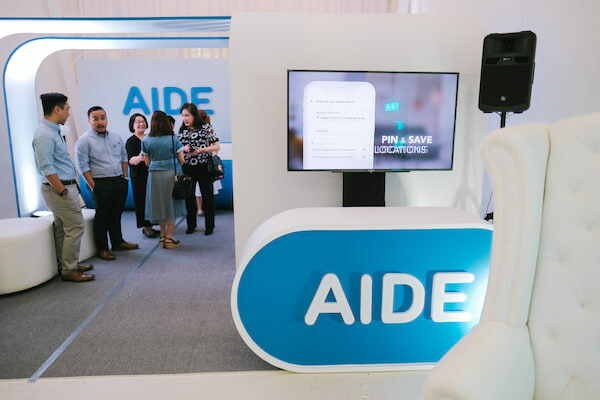 Established by the Bugayong siblings in 2016, AIDE is the country’s first home health platform that enables booking of licensed medical professionals through a mobile app. AIDE aims to bring quality home healthcare at the comfort of your own home. The AIDE app is compatible for IOS and Android smart phone users.